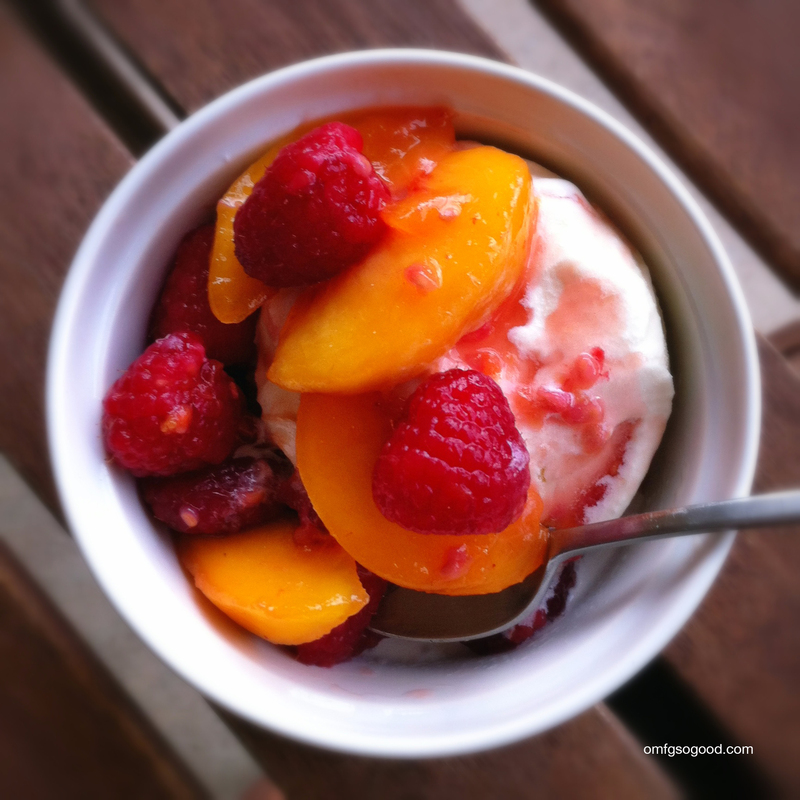 honey bourbon peach melba | omfg. so good. Doesn’t that sound yummy? Well, guess what… It is. I loved the idea of Jack Daniels Tennessee Honey whiskey. Then I bought some, tasted it and realized it was WAY too sweet to drink. So I decided to use it to macerate some peaches and raspberries. Then I decided to eat those over vanilla bean ice cream. Two really good decisions, if I do say so myself. Rinse the rasberries and dump them into a medium sized bowl. 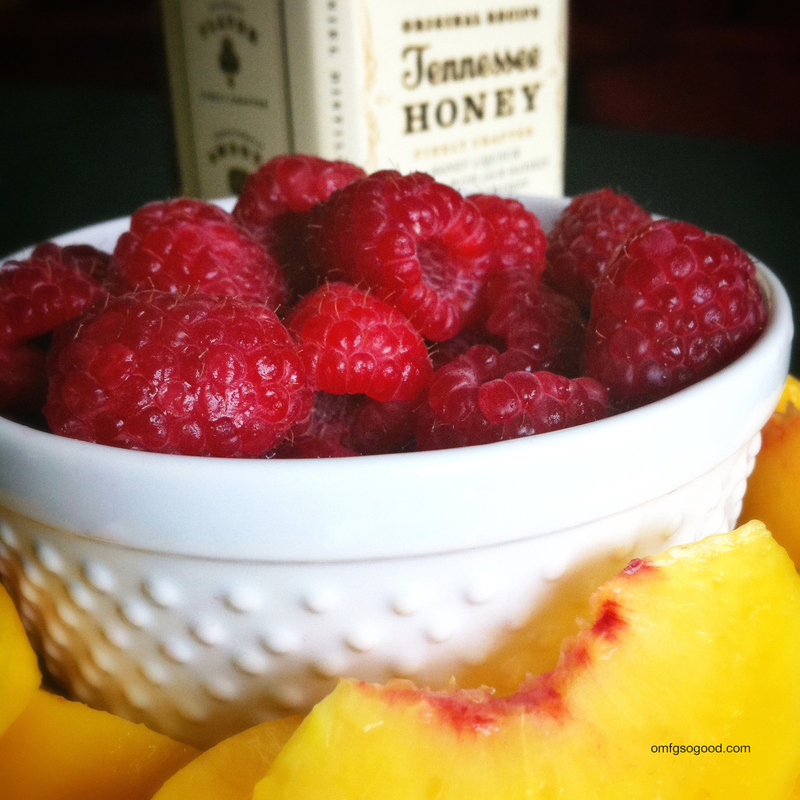 Peel and slice the peaches and add them to the raspberries. Sprinkle with sugar and pour on the Jack. Toss to coat, cover tightly and refrigerate for 2 – 3 hours or until the fruit starts to break down a little and a thicker syrup starts to develop. Stir those bad-boys up and spoon them over some ice cream. It’s always fun for me to tell my kids “sorry buddy, this dessert is just for mommies.” Go ahead, try it. Tell me it doesn’t feel pretty good. I dare you. I want to eat this now!